Challenges Project was facing serious delays and cost overruns due to site engineering and utilities problems unresolved by a former project manager. Client needed to find construction options to lower project costs within HNS budget, and secure financing not available through conventional lenders due to their non-profit status. Strong neighborhood opposition. Solutions Creative Thinking. JS Barry modified architectural and site plans and offered cost-saving design-build solutions for the MEP components in the project, ultimately bringing the cost to construct with the HNS budget. Provided private construction financing enabling the project to proceed. Buffered the interests of the HNS community from the ongoing litigation and strong abutter resistance. Acted as liaison with the Town of Hingham school officials who granted HNS an access easement with a substantial list of performance standards. Coordinated the permitting and installation of a 500-foot water main extension to the site. Gained abutter support for the project by meeting directly with all neighbors in an open forum to address all concerns. Results JS Barry was able provide engineering, architectural, and financial solutions for a community project in jeopardy. The resulting facility has been hailed by the student families, school district, and community as an overwhelming success. 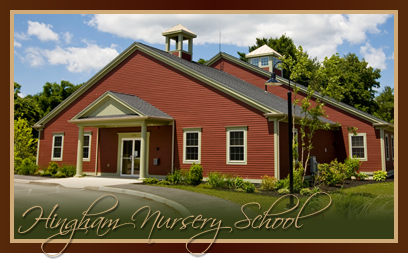 Testimonial "JSB was brought into the Hingham Nursery School (HNS) construction project after the school had received and rejected construction bids that were well in excess of its budget. JSB won the HNS project because of their ability to find solutions to our problems. JSB, with its in-house design and engineering team, creatively and cost effectively redesigned the school to meet our budget constraints without losing the aesthetic look and functionality of the original design. JSB provided valuable construction financing that no other contractors were able to offer. JSB took on and completed successfully the construction project knowing they had only months to prepare the site and build the building before the start of school. JSB were always professional, courteous and worked with HNS as partners from project beginning to end."